I made a snow chair, built to my exact specifications! 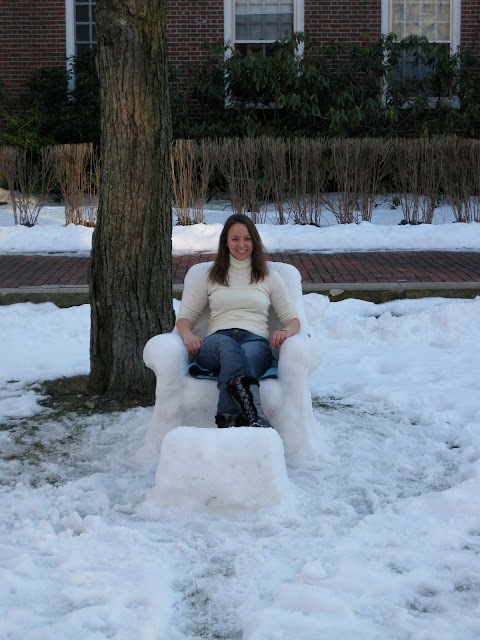 I definitely had a fun day playing in the snow after feeling inspired to make a snow chair in the courtyard of my building. I busted out my mittens in preparation for rolling snowballs, grabbed a sharp flat rock for carving snow away, and I got to work. Testing out the snow chair on a nice sunny day! Initially, I had wanted to build an entire snow living room with sofa, TV, lamp and dog curled up nearby. Luckily, I got a chance to expand on the snow chair project. A link below leads to the snow living room if you want to check that out, too! For the most part, these are all easy snow sculptures: They don't need to look great to impress, because what makes them cool is that they are functional. This chair was tons of fun to make, and I've posted a bunch of photos of it below. I had such a good time making it that I followed up with a few other fun snow projects that you can check out at the following links. Again, these are mostly easy snow sculptures in that they don't have to look perfect to impress. Another fun snow sculpture! SNOW PENGUINS!! Most pictures are of me resting in the rough, partially-finished snow chair. The last three pictures on the page show the fully finished snow sculpture. I spent about two or three hours working on my snow chair. I finished the snow chair by carving the armrests and giving more definition to the overall "chair" shape. Snow chair from the front. 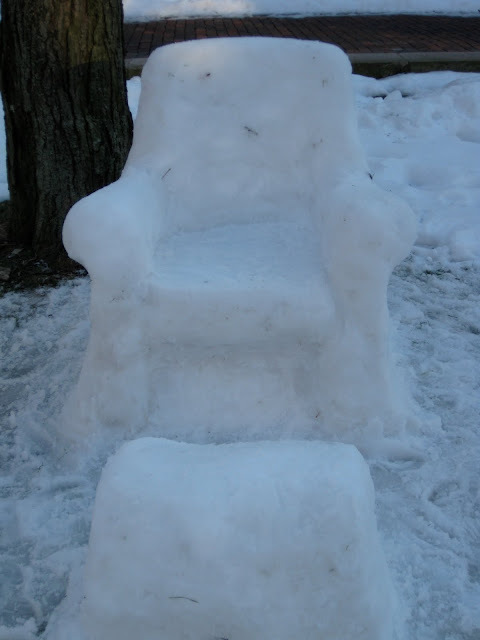 If you like the snow chair, leave me a comment! It's always nice to know I'm not the only one who thinks of things to make in the snow. Fun times!